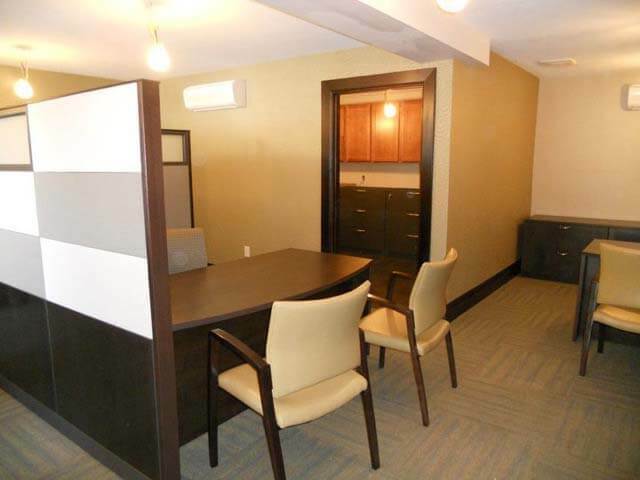 This is an office we recently remodeled for a Twin Cities MN client. Are you outgrowing your existing office space and need to reconfigure walls, cabinets, bathrooms or employee break areas? Or maybe your company has grown, and you need to remodel to add more office space. Office construction projects like these require the combined expertise of professional construction design and commercial remodeling that Titus Contracting delivers. Our experienced design/build/project management team has worked with many companies to envision the right design to maximize their new office space. We’ll show you various office design concepts, provide cost analysis, and then build your new office space. We understand the complexity of running a business as usual while undertaking a remodeling project, and can build on your timetable to keep your business running smoothly. Titus Contracting specializes in office space remodeling and expansion. Building Excellence Fueled By Your Dreams.